You may have seen the soaring tent in the South Boston marine industrial park. 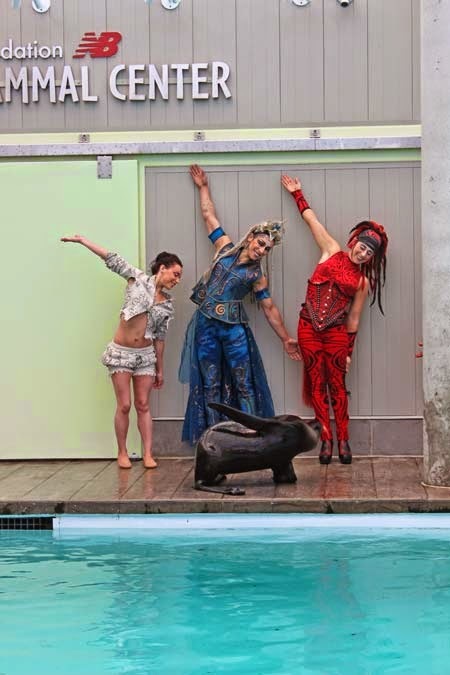 If so you know Cirque du Soleil is in town, with its elegant brand of acrobatics and theatrical performances complete with lithe athletes that impress audiences with amazing strength and flexibility. 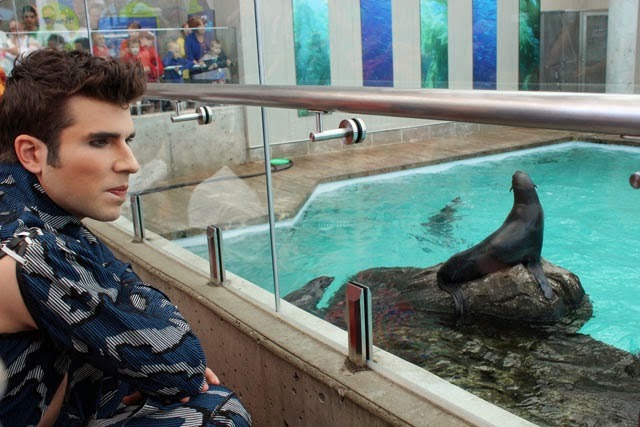 Well, we've heard oohs and aahs like that around the Aquarium, too. 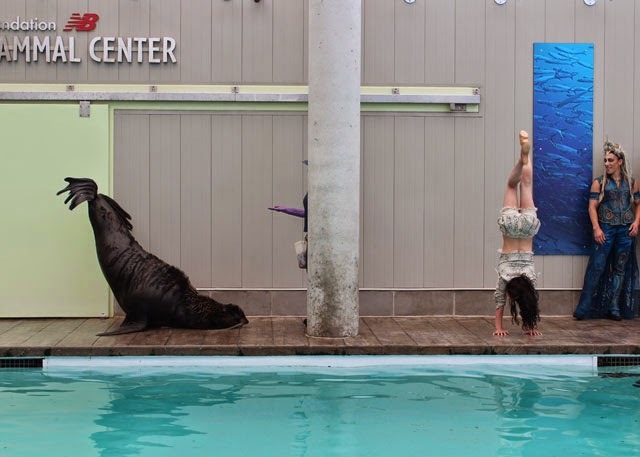 The Northern fur seals have long impressed visitors with their amazing flexibility and strength! Today these graceful athletes met each other face to muzzle. 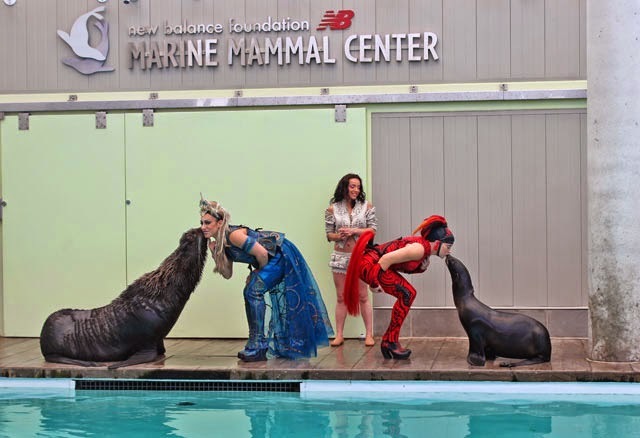 After cruising the city with Boston Duck Tour this morning, some performers from Cirque du Soleil's current production of Amaluna met the Aquarium’s fur seals to share some tips on training, strike some mirror poses with each other and get a friendly kiss. Here's a look at their meeting. All athletes need to eat a healthy diet. A performer helps feed Ursula some tasty fish. 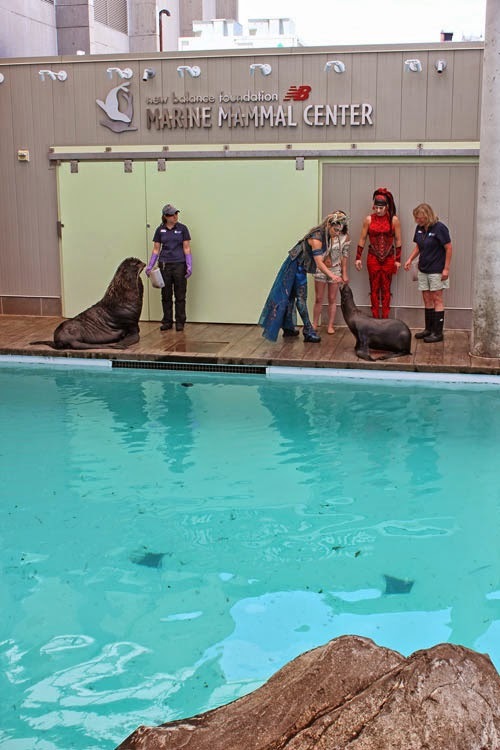 Not all the performers were on deck with the animals!